Despite declining stocks worldwide and increasing health risks, artisanal whaling remains a cultural practice tied to nature's rhythms. The Wake of the Whale presents the art, history, and challenge of whaling in the Caribbean and North Atlantic, based on a decade of award-winning fieldwork. Sightings of pilot whales in the frigid Nordic waters have drawn residents of the Faroe Islands to their boats and beaches for nearly a thousand years. Down in the tropics, around the islands of St. Vincent and the Grenadines, artisanal whaling is a younger trade, shaped by the legacies of slavery and colonialism but no less important to the local population. Each culture, Russell Fielding shows, has developed a distinct approach to whaling that preserves key traditions while adapting to threats of scarcity, the requirements of regulation, and a growing awareness of the humane treatment of animals. Yet these strategies struggle to account for the risks of regularly eating meat contaminated with methylmercury and other environmental pollutants introduced from abroad. Fielding considers how these and other factors may change whaling cultures forever, perhaps even bringing an end to this way of life. 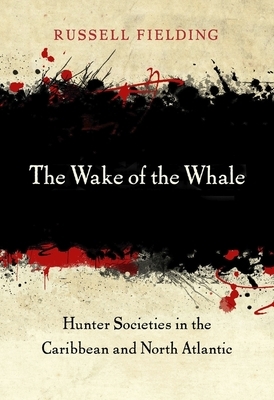 A rare mix of scientific and social insight, The Wake of the Whale raises compelling questions about the place of cultural traditions in the contemporary world and the sacrifices we must make for sustainability. Publication of this book was supported, in part, by a grant from Furthermore: a program of the J. M. Kaplan Fund.